To cope with more advanced processes, including the 5nm generation now in development at the foundries, Cadence has implemented what it calls simulation-drive flow to reduce the impact of electromigration and other parasitic effects. This builds on top of the existing electrically aware flow that has been used in Virtuoso for a number of years. The routing engine uses simulations of electrical effects to guide design. One of the major issues with mixed-signal design in sub-28nm nodes is the complex interactions of design rules and the need to cater for dummy structures to maintain yield. 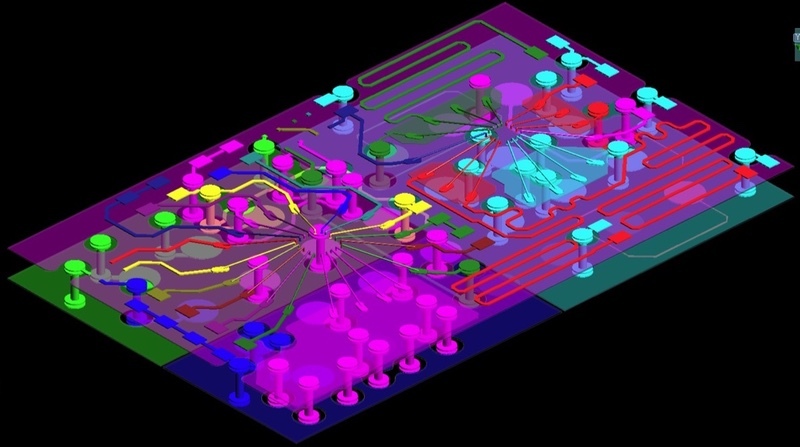 The company has used feedback from its IP-design team to inform its development of the layout-assistance features for the nanometer-geometry processes. “They see anything that’s happening in these advanced nodes,” Shay claimed. Virtuoso uses a series of grids at different granularities, coupled with P-cells to place preformed multi-fin transistors at legal locations. The use of gridded layout makes it possible to deposit and move cells without using manual measurements to ensure design-rule compliance. As the cells are assembled they form part of a row-level grid that aligns with dummy cells needed to maintain the required fill density. The tool also uses the gridded approach to take care of end-of-line design rules. At the routing level, the grids are automatically colored to ensure traces are placed on the appropriate multiple-patterning mask.